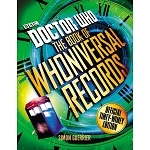 There are many books and websites that review all these Doctor Who stories - tales that fans know very well - but editor Robert Smith? (Who is the Doctor; Time, Unincorporated 2-3; Braaaiiinnnsss: From Academics to Zombies) set out to create an unprecedented archive of opinion from throughout the professional and fan communities, just in time for the 50th anniversary of the greatest television show in history! The results are inventive, provocative, and always surprising. Smith? himself says: It's the biggest, wildest idea I ever had: as many reviews are there are classic series stories. That alone was a huge undertaking. But what really makes this shine is that I put in an additional requirement: say something different. In short, these aren't your father's reviews. What I wanted for OUTSIDE IN was takes on the classic series that make you go, 'Wow, I never thought of that.' Fortunately, that struck a chord with everyone and I mostly got to sit back and watch everybody bring their A-game to the table. Some reviews are thoughtful, some are funny, and some are utterly gonzo. I've had mock-angry letters to the BBC, transcripts of council meetings, even a recipe. There are flow charts, maps, TV scripts, timelines, Shakespearean plays... and, of course, intensely passionate and vocal opinions about the entirety of Doctor Who. You may not agree with everything that's said in this book - indeed, I hope you don't! - but the end result is something intensely personal that every Doctor Who fan will find resonates with them in some way. The watchword of the project is diversity. That's one of the great strengths of fandom: put ten fans in a room and you'll wind up with eleven opinions. It's like the weather: endlessly discussable and if you don't like what's happening right now, there'll be something else along shortly. 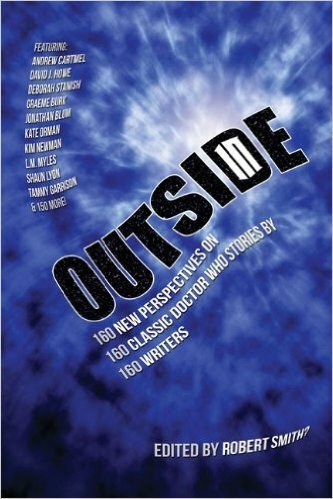 OUTSIDE IN captures that essence, both in terms of the show itself and also its many-splendoured fandom.